In my free time I like experiment with hardware and embedded systems. Here I write about personal projects and random adventures into firmware land. In the last article on this topic, I unbricked my Western Digital My Cloud EX2100 NAS and said I would provide instructions on how to install Debian. There are partial instructions for how to replace the stock u-boot with one that is capable of booting Debian from a USB stick, but following those instructions requires slightly more knowledge about how the boot process works and omits some important details. Now that I have the EX2100 working again, I thought it would be good to provide a set of complete, concise installation instructions for anyone else with this hardware who is interested in running Debian (or another Linux) on it. These instructions are also available on the Doozan forum. Before we begin installation of Debian, you will need a working uart connection to the EX2100. 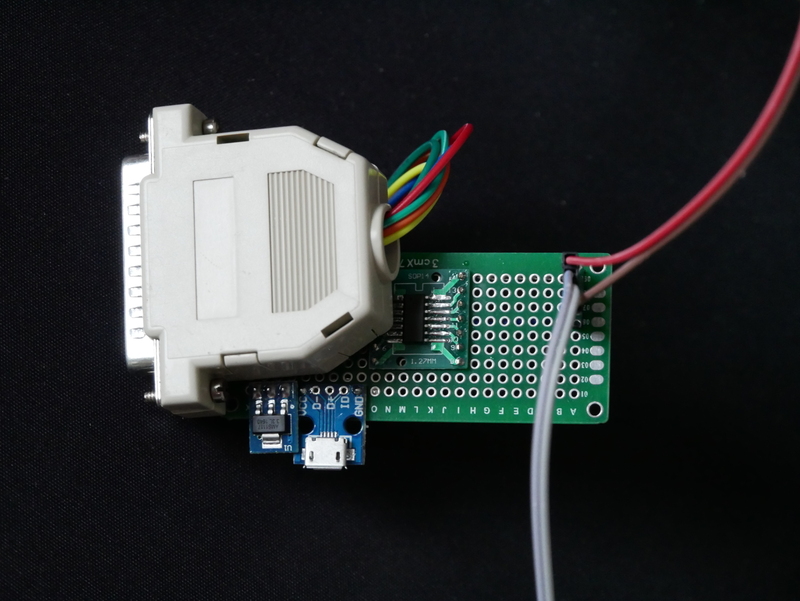 Test the connection by powering up the EX2100 with a USB to uart adapter or something like a Raspberry Pi. The uart operates at 115200n8. You should immediately see output from u-boot (see sample below). 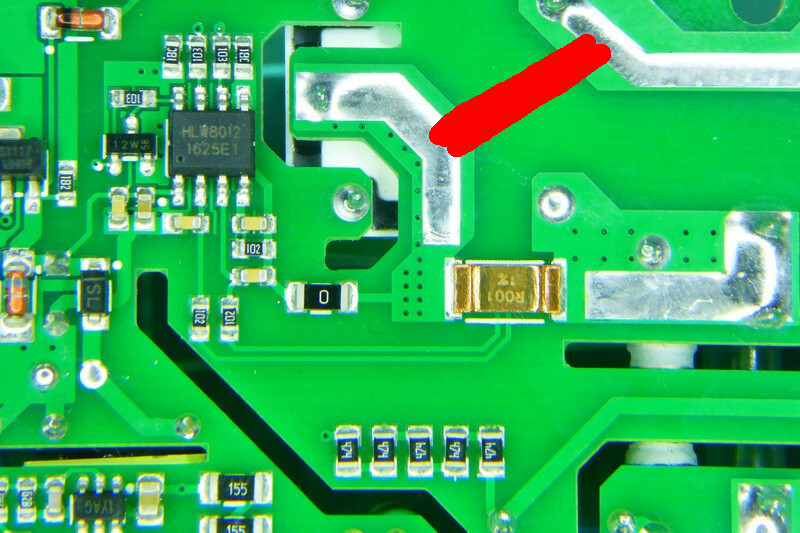 If you don’t see any output, check your connections and ensure that you have not reversed the uart Tx/Rx. For this step you will need a USB mass storage device of at least 2GB. We will format the device, so ensure you do not have any important data on it. The device must be USB 2.0 as USB 3.0 is not supported in the EX2100 u-boot. Format the device with a single ext3 partition. Double check the device before proceeding as parted will erase and format the device without confirmation! Download the latest Debian rootfs from the Doozan forums. Put the USB device in the rear USB port on the EX2100. The front USB port cannot be used for booting as it is not powered during u-boot execution. Now that you have a serial connection to the EX2100 and a USB device prepared with the Debian rootfs, mvebu kernel, and dtb for the EX2100 it’s time to start installing Debian. You must use a modified version of kwboot to load u-boot to the EX2100 via uart. You can obtain the modified kwboot binary for amd64 from here, and kwboot for armhf from here. You will be kwbooting a modified version of u-boot which can save environment variables. If the handshake was unsuccessful, you will see normal u-boot output as you should have seen in the “Uart output” section above. Repeat the procedure until you see kwboot say “Sending boot image…” followed by loading u-boot via uart. This takes some time (~90 seconds). After the u-boot image has been loaded via kwboot, it will boot normally (as you saw in “Uart output” section above). If you performed the previous steps correctly, the EX2100 should now boot Debian from the USB device attached to the rear USB port. For the changes in u-boot to be persistent, we need to write the modified version of u-boot to NAND. Make sure you make a copy these backups also in another location!!! Once you have taken a backup of the NAND contents, poweroff the EX2100. Remove the USB and copy the mtd backups you made to your computer for safekeeping. When you have finished this, follow the instructions again in the “kwboot the EX2100” section but stop at the “Set u-boot environment parameters” section. You will then proceed to boot Debian again. If instead you see “mtd.flags = MTD_CAP_ROM” then you cannot flash u-boot using the dtb you have booted with. You can download the dts for the EX2100 and build the dtb for your kernel. That’s it, you should be finished. Shutdown the EX2100 and exit kwboot. 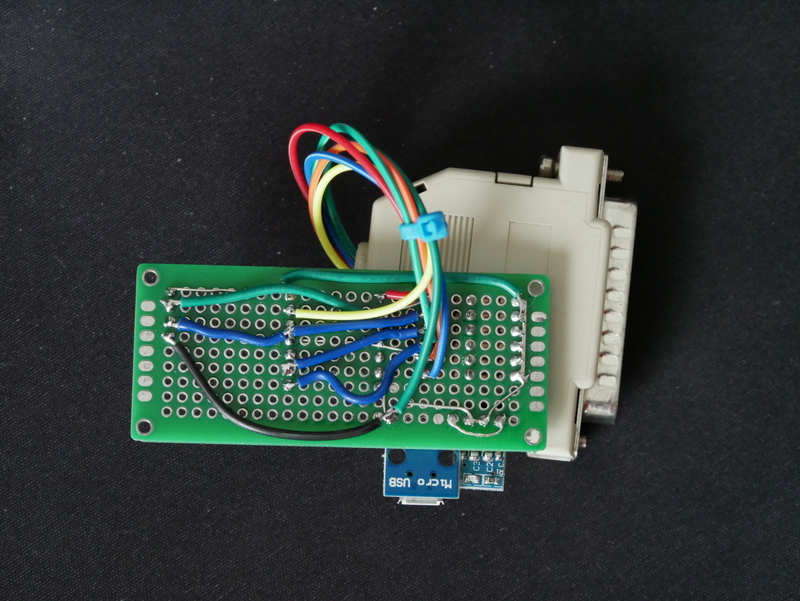 Using a standard serial console like screen or minicom, connect to the uart if you want to monitor the boot process. Now when you power the EX2100 it should boot Debian from the USB device plugged into the rear USB port, if it is present. If the USB device is not present, u-boot will fall back to booting the WD firmware from internal flash. Note that the Western Digital firmware is not fully functional unless you allow it to format your hard drive(s). If you format the drives with the Western Digital firmware and run Debian from USB, then the device should function regardless of the running firmware. If you choose to partition the drives yourself and usually boot Debian, then the WD firmware won’t be very functional as the hard drive(s) are not formatted in the expected layout. This entry was posted in Embedded, Firmware, Linux and tagged debian, ex2100, nas, u-boot on 2018/02/18 by Hal Martin. When we left off in my last post about the Western Digital EX2100, I had corrupted the firmware on the microcontroller responsible for managing mundane system tasks like bringing the main ARM SoC out of reset. This unfortunate bout of curiosity had left me with a fancy brick instead of a NAS. To recap from the last article, the EX2100 uses a Weltrend WT61P8 series MCU (despite being labelled WT69P803) intended for use in flatpanel televisions. The WT61P8 has a turbo 8052 CPU and is primarily intended for flatpanel television power management as it supports HDMI CEC and Infrared. 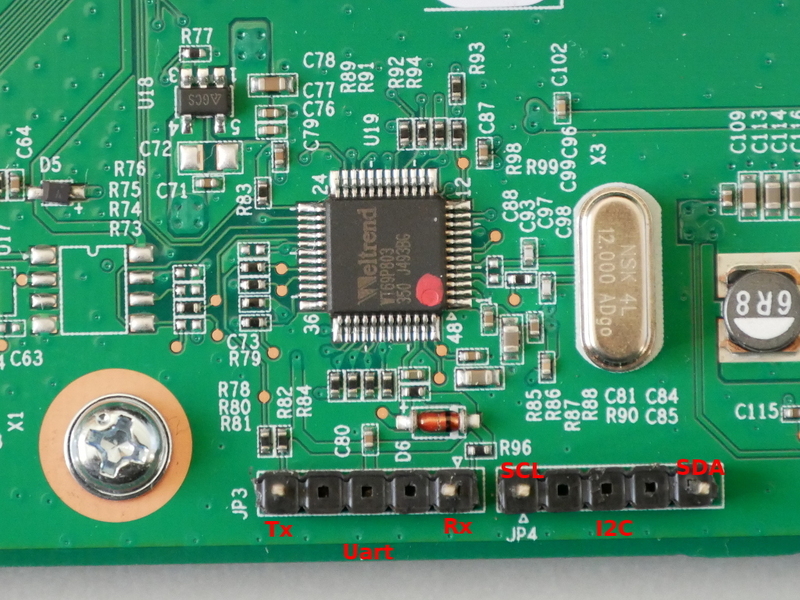 If I can be grateful for one thing, it is that this microcontroller is frequently used in Samsung televisions and Russians are very resourceful at repairing and modifying televisions. Through a variety of Russian language forums and with a lot of Google translate, I was able to find that the WT61P8 supports ISP via I2C and that there is software available to flash it. The “Postal2” software is designed for dumping and flashing firmware from televisions, and as the WT61P8 is used in televisions it is supported. Since I did not really want to spend money on the RT809F, having no other use for it, I decided to try Postal2. However I faced a problem: Postal2 requires an LPT to I2C adapter, and this is not an adapter you’ll find anyone selling on AliExpress or eBay, so I would have to make it myself. 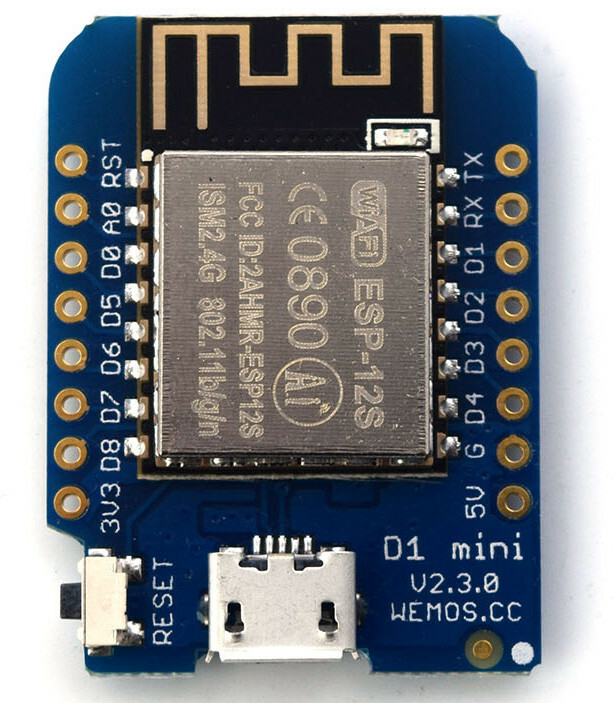 The micro USB port is for power, with a 5V to 3.3V linear regulator. An equal mix of modern and ancient connectors are present in this adapter. Then I had to find a PC with a parallel port and install Windows 7 x86. Postal2 seems to be completely incompatible with all x64 versions of Windows. After analyzing the downloaded firmware, it appears mcu_upgrade put the Weltrend into ISP mode and erased a majority of the internal EEPROM, leaving [I assume] only the bootloader. For some reason, mcu_upgrade did not write the firmware back to the Weltrend after erasing. I won’t speculate if my strace on mcu_upgrade was responsible for it… When I reset the EX2100 the Weltrend had no firmware to run, and didn’t bring the main Armada CPU out of reset, resulting in a brick. I would not consider the result a complete success. 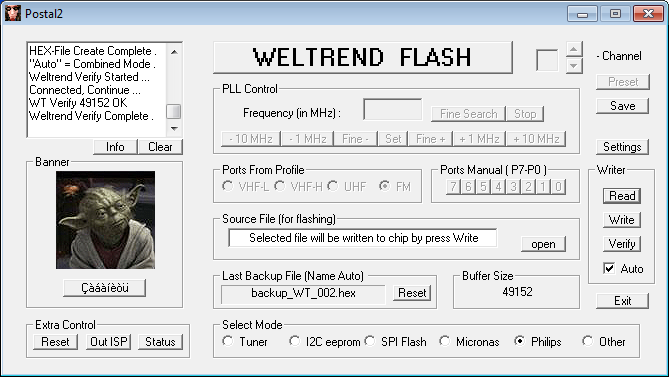 The Weltrend did have a valid firmware again, and it was functional enough to bring the main Armada CPU out of reset. Unfortunately (or predictably) the binary firmware I recovered from the Western Digital update package does not appear to be specifically for the EX2100. The codename for the EX2100 is “Yosemite” and unfortunately this string does not exist in the binary firmware uP_0.bin I extracted from the EX2100 firmware update. Looking at the strings in the firmware, it appears that the firmware is intended for the “MyCloudDL2000” (a product that doesn’t exist). There is a DL2100 which is a “Pro” version of the EX2100, using an Intel CPU instead of the Marvell Armada. 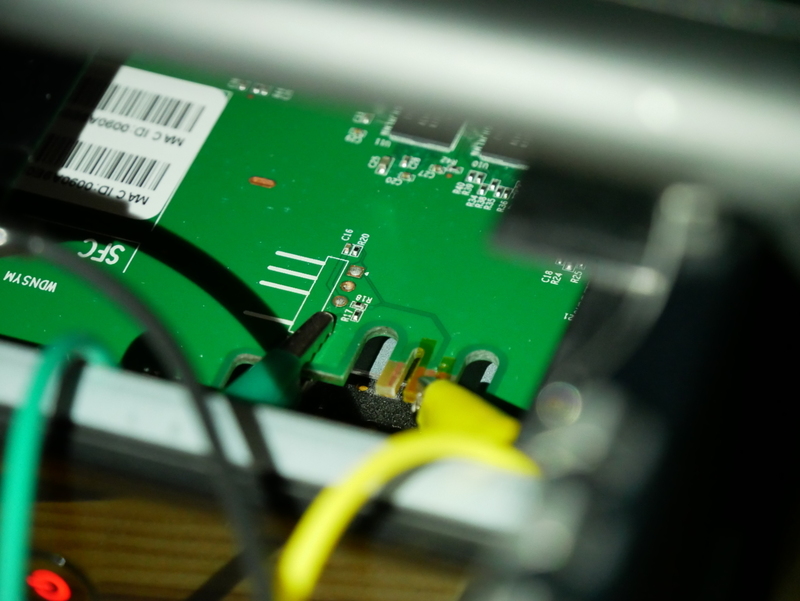 Unfortunately the behaviour of the Weltrend with the extracted firmware is different enough that u-boot hangs trying to configure wake-on-LAN for the two Ethernet interfaces. Since u-boot doesn’t get far enough to boot Linux, my next task was stripping out all communication with the Weltrend from the u-boot source to see if I could at least get the NAS to boot Linux. After building u-boot with WoL configuration disabled, I was able to kwboot u-boot and successfully boot into the Western Digital firmware. In another stroke of luck, Western Digital has published a new firmware (2.30.181) to resolve a vulnerability discovered in their web management interface. Updating the Western Digital firmware on my EX2100 also updated the firmware on the Weltrend. The firmware update process resolved the issue with u-boot WoL and I had a fully functional unit again. I was mystified where the firmware from the Weltrend microcontroller came from. There is no file matching the contents of “uP.bin” or “uP_0.bin” in the filesystem of the firmware update, nor is there any firmware blob in the WD GPL archive that I could find. After much searching in the squashfs filesystem of the update, and through the WD GPL archive, I finally gave up and grepped for a hex string in the firmware in the firmware update binary itself. At this point I was very surprised to find that the Weltrend firmware is simply appended to the end of the WD firmware update. 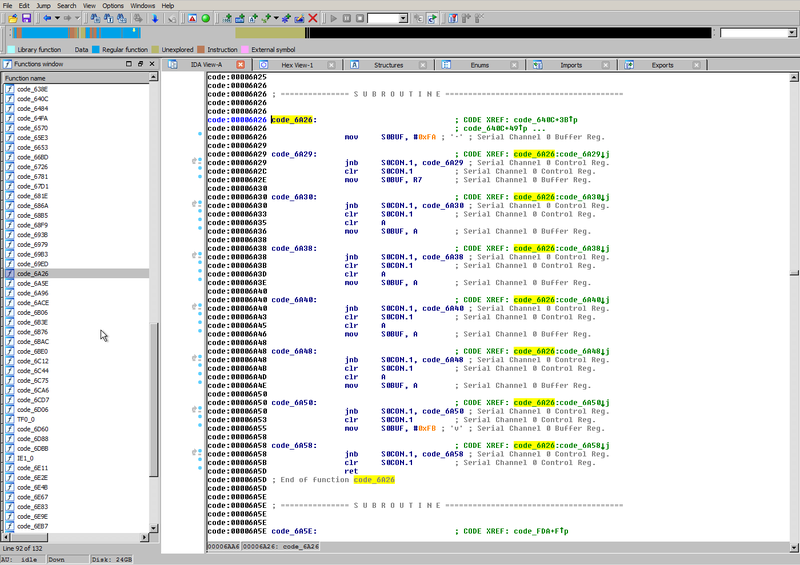 With the offset from hexdump, you can again chop the file with dd to isolate only the Weltrend firmware. There doesn’t appear to be any data in the firmware update file after the Weltrend firmware, so there’s no need to remove any trailing data. 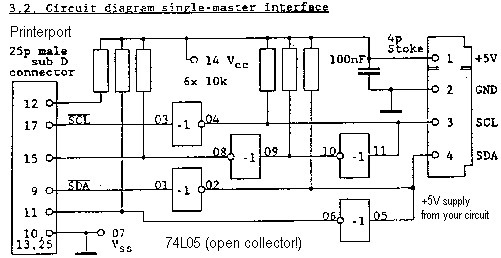 While I dislike an opaque microcontroller being used for important system management functions, I’m not prepared to invest a lot of time in learning 8052 assembly so I can reverse engineer the firmware. 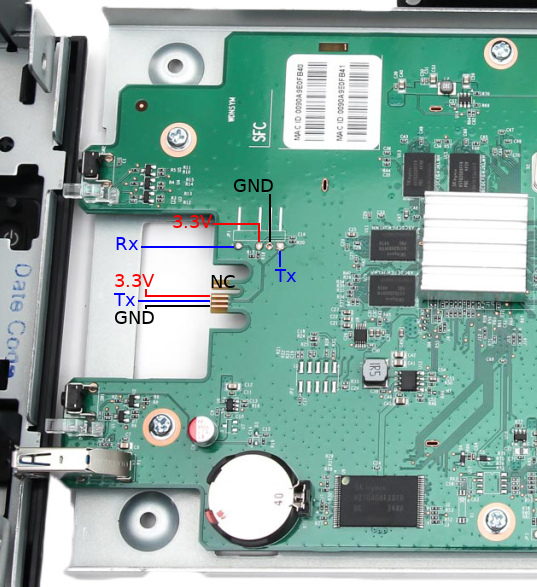 If you have a Western Digital NAS using a Weltrend microcontroller and it appears to be bricked, there is route to recovering the firmware and it’s not as impossible as it may seem at first glance. 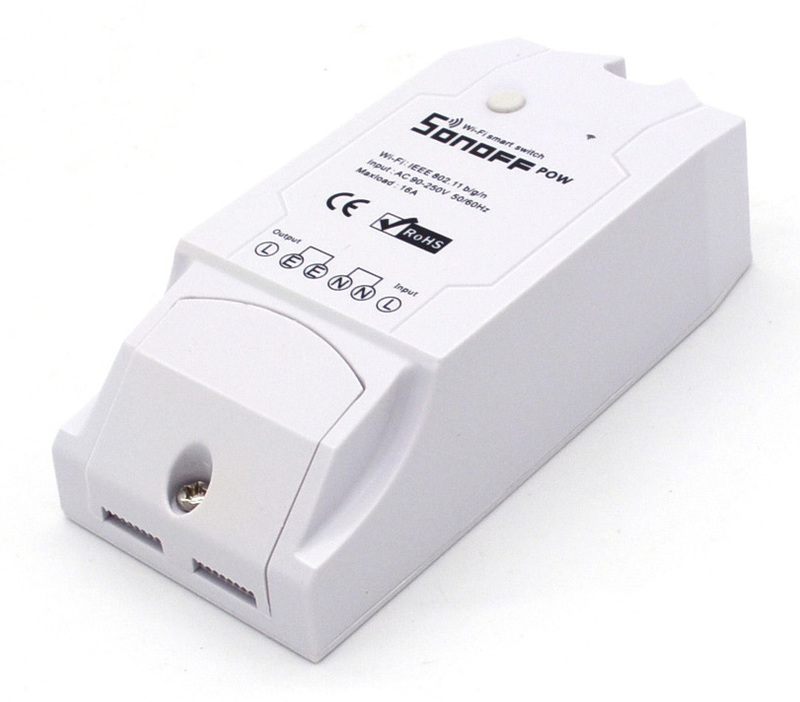 With access to the SDA/SCL header and an LPT adapter can be built from inexpensive components you can flash the Weltrend firmware extracted from the WD update file. In the future I think it is best if I stick to the task at hand (writing Debian installation instructions) and refrain from messing with proprietary and undocumented microcontrollers responsible for key system functions like power management. Stay tuned, installation instructions are coming soon! This entry was posted in Embedded, Firmware, Hardware and tagged debian, nas, weltrend, western digital, wt61p8, wt69p803 on 2018/02/11 by Hal Martin.